Buongiorno miei amata amici! 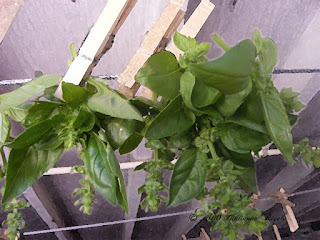 Recurring grocery bills with organic basil encouraged me to grow my own Italian herb garden this year. I have no regrets, as it has been easy in our climate and the aroma brings all of the family out to the herb garden. Perhaps herb garden is deceitful, as we have no ground for growing plants where we live currently. Thus, I have opted for a container garden, endeavoring to seek out a healthier lifestyle for my family. I have always been a baker and/or candy maker. I was never much of a cook and had a dismal outlook on dinner preparation most evenings. However, since chopping or grinding fresh herbs, my enthusiasm for cooking has bloomed. It is contagious. The scent of the just picked herbs tantalizes and becomes addictive. 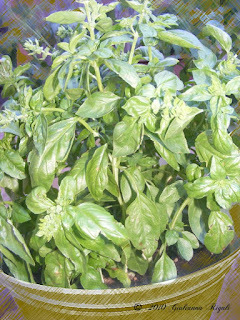 In Italy, Basil’s notability as the herb of love and honor extends to employ it as an aphrodisiac. While I have felt no physical lust after eating Basil, I have come to yearn for the fresh Basil itself. 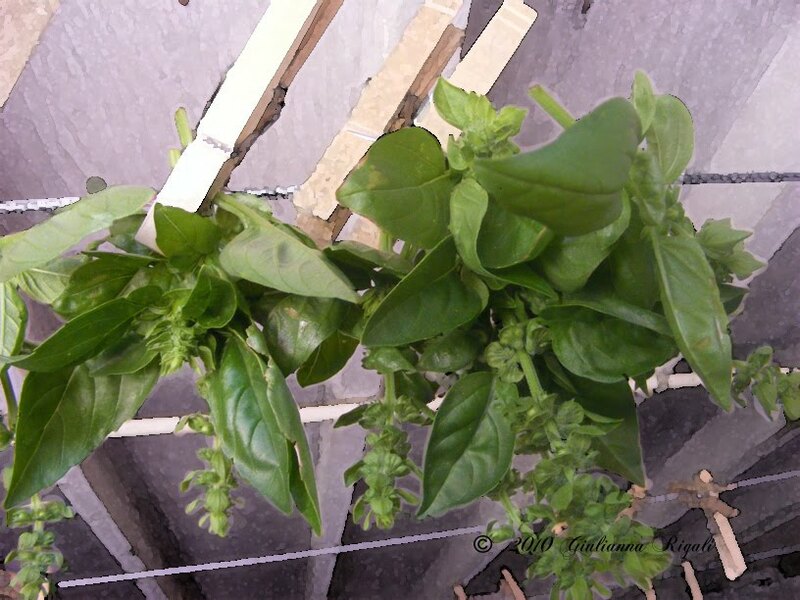 For centuries, Basil has been used in wreath making for award ceremonies, decorating, etc. 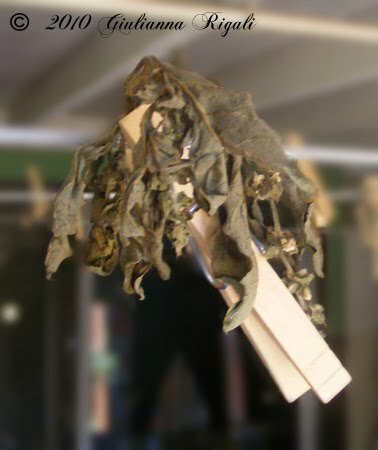 If the wreath is made in late fall, the leaves can be harvested for cooking throughout the winter. Sounds like the ultimate kitchen wreath to me! This year, we have come full circle. I started from organic seeds, germinated, planted into larger containers, and then either used fresh or dried out the basil for future use. I have also harvested the seed to replant. 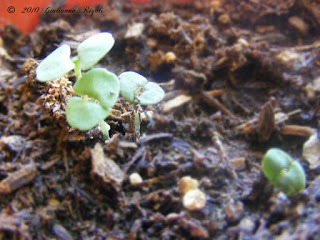 I am currently in the process of planting more to have an abundance to make a wreath for my kitchen this fall/winter. I have also been using Basil in homemade medicine this year. I am becoming a believer in the benefit of herbal medicine. Basil’s essential oils contain a myriad of properties, not limited to: anti-inflammatory, antioxidant, anti-microbial, and anti-viral. Sweet Basil has the same chemical as cloves called eugenol, which gives it many of the same healing properties. Basil and Oregano both have (E)-beta-caryophyllene, which has anti-inflammatory properties that promote health in arthritis and inflammatory bowel diseases without the undesired side effects of some other herbs or pharmaceuticals. Tomorrow, we will produce fresh Pesto from our organic Basil using our marble mortar and pestle.